I have read kings order ,but i am thinking which spear or sword would be for Herakless suitable as Lancer i think he could get one from his Father Zeus ? I'm pretty sure he got a golden sword from Athena at one point. Spears are a bit trickier, since I can't recall Heracles wielding any important spears in his legends. The best idea I can come up with would be to have him wield one of the Pillars of Heracles as a giant spear, which is a bit of a stretch but could be cool if done right. I'd prefer to see him with a pillar spear. Imagine how OP it'd be to do Nine Lives with Zeus' lightning. A clever slave girl who belonged to the house of Cassim, a greedy merchant in Arabia. Cassim’s brother, Alibaba, accidentally discovered the magical lair of a group of thieves. After overhearing the password to the cave lair, he broke into the cave and made himself rich off of the stolen loot. Cassim wanted in on the whole deal and his brother shared with him the secret to the cave. Cassim, however, was an oaf, and he forgot the password while trying to escape. The Forty Thieves returned that night and slaughtered him, mincing him up into pieces displayed as a threat outside their home. Morgiana stole the body back and paid a blind tailor to sew it back together to cover up the nature of his death. The thieves discovered the missing body, then went after Alibaba. Every time they tried to kill him, she foiled their attempts. Eventually every thief wound up dead one way or the other. In thanks for saving his life, Ali Baba granted Morgiana her freedom and the hand of his son in marriage.
. And yet...And yet her story did not end there. Despite her personal efforts to return to normalcy after the Forty Thieves incident, and to cover up the extent of her personal involvement in it, rumors of her natural ability eventually reached the Order of Assassins. The most recent Old Man of the Mountain had been murdered through unknown means, so the Order was desperate for a replacement. Morgiana, thanks to her skill set, had great potential as the newest Hassan. She refused at first, but when the lives of her former master as well as her own husband were put on the line, she accepted their request. She modified her own body into something that surpassed her previous accomplishments to become an information gathering machine. Morgiana taught her underlings how to refine their senses to where hers once were, but kept her own methods secret. However, this was not her true life. To return to her past, she killed all those in the Order who had once threatened her, covered up their deaths, and invented a persona for herself to maintain her work in the order: the Hassan of Closed Eyes. This Old Man of the Mountain was a faceless enigma with no recorded history or actions, only a recorded Zabaniya. She treated herself as just another mouthpiece of this false Hassan, just another node in the net of disconnected information brokers, another face in the sea of informants. Just as she settled back into her past life, she was put to the sword by a the hand of an Assassin that even she had never heard of before for the heretical crime of wanting a normal life. It took a further twenty years for a new Hassan to take her place. A rare case in which the same Heroic Spirit ascends to the Throne of Heroes under two different names. She is both Morgiana, savior of Ali Baba, and the elusive Hassan of Open Eyes. However, rather than being eligible to be summoned under one identity or the other, she is instead summoned as both simultaneously. The identity of Morgiana takes priority, however, due to the machinations of a certain storyteller who told the tale of one of Morgiana’s exploits. Unlike other Assassins,Assassins, and even other Hassan-i-Sabbah candidates, Morgiana is not well suited for clandestine assassination. Instead, her strength comes from uncovering information, such as the location of a Caster’s workshop or the mythical weaknesses present in an enemy Saber’s legend. With the careful abuse of this information, she is capable of taking out enemies that are far stronger than her. She might just be the worst possible servant for a Master with skeletons in his closet. She's not helpless, of course. Her skill with a dagger should not be underestimated. Thanks to her Noble Phantasm, she is able to exploit inherent weaknesses in armor or fighting styles using the pinpoint accuracy of her daggers. The capacity to hide one’s presence as a Servant. Suitable for spying. Its rank drops down considerably when preparing to attack. Morgiana makes use of her Noble Phantasm to significantly bolster her ability to conceal her presence by meticulously keeping track of every tiny thing that might give her presence away. The expertise for throwing weapons, in this case daggers. Her weapons of choice are more like short swords than typical daggers. Her daggers have the same destructive power as a bullet when thrown, which typically spells death for human targets. The aptitude to remold one’s own body or merge one’s flesh with the body parts of others. Morgiana is capable of shutting off each of her senses individually, either to bolster the remaining senses or to shut out distractions (like the pain of being tortured). She is also able to enhance her physical parameters in short bursts. A skill where normally unattainable mental strength can come from a strong rapport with another. The degree of resistance to mental interference magecraft granted by this skill scales directly with how close she is to her Master or another participant in the Grail War. At A rank, the scaling is considerably more pronounced. An ability refined from Morgiana’s natural perceptiveness into a tool for her Masterthe Order of Assassins. Through arduous body modification and extended periods in a sensory deprivation chamber of her own design, Morgiana has surpassed the human body’s ability to acquire and process raw information. Every one of her five senses, as well as any other internal or external senses of the human body, have been refined to far surpass what can be found in nature. Her modifications have even granted her senses unknown to humans, such as electroreception or magnetoception.
. While this Noble Phantasm is a continuously active one that can continue to work without its name being called...While this Noble Phantasm is a continuously active one that can continue to work without its name being called, It can also be invoked to enhance her her senses further. In doing so, however, she also calls upon the Hassan of her own creation. A skull mask will manifest over her face as a greyish pallor spreads across her body starting from the mask. While this ability is active, Morgiana is gone and the Hassan of Closed Eyes takes her place. The sensory data she receives is so intense that her perception of time seems to slows down as if to compensate it. The sheer amount of detail streaming through her mind directly damages her due to just how much of it there is. As such, she can only hold this form temporarily before she puts herself at risk. In this state, she is able to read through an enemy’s intent to predict their movements and can completely nullify other Presence Concealment skills, among other things. While she wears the mask, her own face is replaced with a hollowed out cavity: the mark of a true Hassan-claimant, manifesting regardless of how much she tried to reject that title. A dark horse servant. It's mentioned in canon that nobody knows who actually used Meditative Sensitivity, nor how it was actually used. Only fragmented tales of its usage remain as of the time of Strange Fake's False Assassin. This points to someone who can control information, so it's a natural progression from there. Morgiana's legend involves her being able to notice very subtle traces of information, so developing her into the bearer of that Zabaniya was pretty easy. The rest was just filling the blanks or, more accurately, creating and then explaining those blanks. 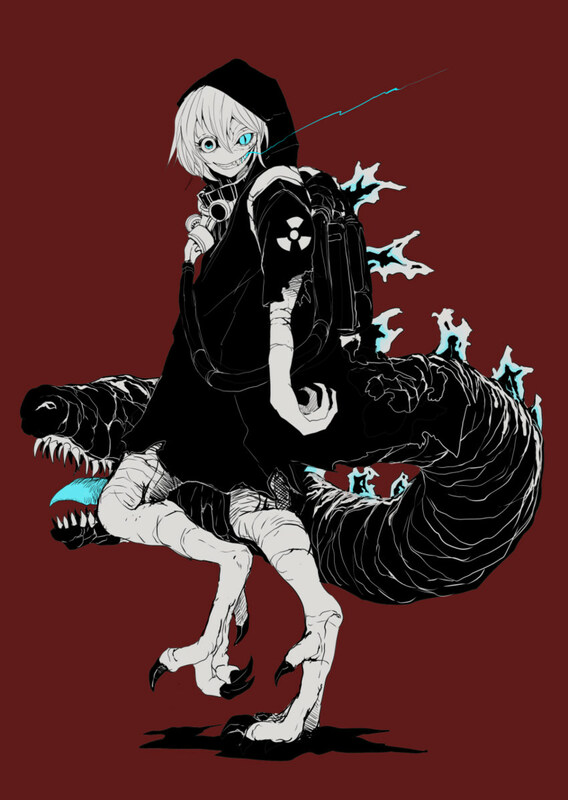 I would have her picture change with the collapsed name, but sadly I don't have a face claim for her Hassan form. Morgiana ended up being a member of the resistance movement against the secret organization. Her information gathering expertise would have helped her team uncover some of the more insidious machinations of that organization. Last edited by gyrowins; May 4th, 2018 at 12:50 PM. Okay, thats awesome, you are awesome gyro. Mh you made her Nobelphantasm be a possible source/ origin of Zabaniya: Meditative Sensitivity bery good concept it gives me a bit a inspiration of making a similar case with the crystal skin zabaniya ! Have you made this spontanous or have thought long about it ? I've changed a bunch of things in Spearfinger that were bugging me. Feedback is welcome. "Let us prevent misunderstanding this time around: Yes, I'm a girl. Lancer Class Servant: Gareth. I'm your loyal knight, Master. Let us win this battle!" Likes: Lancelot, her family, the Knight of the Lake, her king, the Ill-Made Knight, the Knight of the Cart… She— She just really likes Lancelot. Catalyst: Parts of a black armor mistakenly attributed to Lancelot. Lancer's true name is Gareth, the youngest of the Orkney siblings—the children of Morgan—most famous for her quest to save Lionesse, her admiration for Sir Lancelot, and her death at the hands of that same knight. It could be said that she's at the same time a very obscure and very prominent member of the Round Table. She's a redhaired girl of small stature but strong physique, upholding the Orkney tradition of having each sibling look completely different from the others, she's dressed in white armor and carries a single white lance, as well as a sword. As a Knight of the Round Table, Lancer is famous for her honorable, humble and meek nature, taking the insults of Kay and Linet without ever giving in to anger (though she often went against them when her honor was questioned). She's someone who, due to her own choice of hiding her heritage, had to prove herself to all the court to be accepted as one of them, much unlike the rest of the knights who were usually famous even before being invited into Camelot. Her personality is as the legends say, and she'll act as an honorable knight serving her Master, always keeping a distance between them just like she did with her King. It is up to the Master to put the effort into closing that gap if they want to see her warmer self. Of course she'll follow and protect her Master as a knight anyway, but getting closer might help them to understand her mentality and therefore, allow them for better coordination in battle. Kind and well intentioned to a fault, she knows the world is crueler than her heart perceives it as but still has difficulty in assuming others to hold any ill-will without knowing their story first, and she trusts her Master to help her during the moments in which they see her kindness as misdirected. Differing from the legends though, she is a woman. She initially disguised herself as a man until she entered the castle, was knighted, and proved her worth; only then she revealed her gender and heritage to all, and by that point they were already convinced that she deserved the seat she earned. There were still some who were against it of course, but they didn't dare to say anything, not only because they feared getting challenged by her, but because even before their words reached her ears, a certain knight of the sun made sure they never spoke again. To her fellow knights, she acts much like a more energetic Bedivere, with some exceptions like Gawain, her annoying older brother who she treats very aggressively. Even if he defends her right and ability to be a knight, he is the one who treats her like an innocent little girl the most, even during the time she was working on the kitchen in disguise he acted like that, which lead to many rumors about how Gawain's tastes maybe went beyond just women. Nevertheless, she loves him very much, and scolding him for being a "clueless hot-headed gorilla" is just her way of trying to help. Also, Lancelot. She admires him more than anyone, seeing him both as an unreachable idol and as a kind fatherly friend. He answers her admiration by acting like the fatherly figure she sees him as, always worried about her but never doubting her capabilities. The only issue is his unbearable sincerity, he'll often give excessive praise to her appearance, mannerisms and/or actions in public as if it was normal to do so, leading to many embarrassing situations in which she—with her face as red as her hair—has to explain that he's not flirting, while he stares cluelessly at the commotion. It's obvious then, what her wish is: just to see her idol once again, to stand at his side or against him in battle once more. A warning though: beware of talking about Lancelot with her. If you do, be ready to engage in hours of conversation with an excited, obsessed fangirl who is very similar to modern otaku. Such an exchange might destroy your image of her. This skill grants protection against magical effects. It cancels spells with a chant below two verses. Cannot defend against magecraft on the level of High-Thaumaturgy and Greater Rituals. While Lancer didn't have many encounters against magic during her own journeys, she's still a Knight of the Round Table who fought beside them against both spellcasters and magical beasts, and as such is granted this skill. A skill denoting the ability to ride mounts and vehicles. She can handle most vehicles and animals with above average skill. However, she cannot ride the likes of Phantasmal Species such as Monstrous Beasts. Since 'knights' are soldiers who are proficient in mounted warfare, Lancer’s Rank in Riding is very high, and she is even qualified for the Rider class. but why did such a thing have to become a skill..."
She is endowed with a beauty that makes her gender very difficult to discern, as well as mannerisms and speech that make others doubt her knightly valor. This skill also has an effect similar to Uncrowned Martial Arts, causing all her fighting abilities and weapons to appear to be one rank bellow to any person that hasn't fought her yet or that doesn't know her true identity. 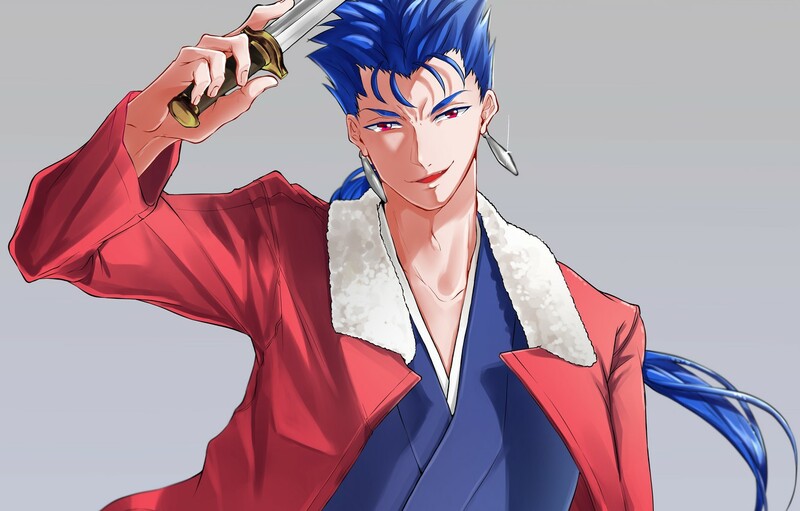 When Lancer first arrived at Camelot—disguising herself as a man at the time—Kay himself mocked Lancer's delicate looks and fair hands. She kept her disguise while she worked on King Arthur's kitchen, and only revealed herself as a woman after being knighted by Sir Lancelot, until then, all were tricked by her appearance. Furthermore, in her most famous tale, her abilities in combat were overlooked and ignored due to her position as a kitchen boy. Even when her fighting prowess was directly witnessed, Linet refused to acknowledge her abilities. What? What do you mean marriage?! Who said that?!" She does not get confused in any situation, suppressing her own emotions and calmly observing her surroundings, guiding towards the most optimum tactics. Grants plus correction to mental resistance, especially against confusion and impatience. Even if she has to go through unbearable criticism and prejudice, or through thousand of enemy soldiers, Lancer will never be bewildered. This skill would also help in the rush of a busy kitchen. No matter how much she was mistreated or bullied, Lancer didn't stray from her path to knighthood, and though she denied all the falsehood claimed about her, those insults didn't lead her to anger or hatred, and she left those incidents almost unaffected. However, it seems like while talking about a certain idol of hers, any composure is thrown out of the window, to the— Wait… To the point where this skill is sealed?! "It wasn't much really, I just told them to go to Arthur. Though I guess I did get good food and a warm bed for the night." This is a composite Skill consisting of a person's charm as well as the natural talent to command or unify an army or country, increasing the ability of allies during group battles. In this case, the user doesn't have great leadership skills, but has an innate ability to recruit other by means of battle. Each of the knights Lancer she defeated on her most famous quest were very skilled and possessed many followers themselves, and yet after being defeated and spared, they all swore loyalty to her (and to King Arthur by her orders). The brothers of the black knight even gave up on avenging his death and welcomed her to their homes. "I suggest you take a good look at them my sir, because just like them you'll end up defeated soon enough! Beaumains Loyal Lances!" Fair-Hands' Loyal Lances. Sir Percard, the Black Knight; Sir Pertolepe, the Green Knight; Sir Perimones, the Puce Knight; Sir Persant, the Blue Knight; and finally, Sir Ironside, the Red Knight of the Red Lands. Gareth defeated them all, killing and taking the belongings of the first one, but sparing all his brothers and even the final enemy of her quest; and they rewarded her mercy with their utmost loyalty. As a Lancer Gareth can bring forth five lances apart from her own—white—weapon, those lances—each bearing the color of their owner—will float around her, ready to be commanded into battle just like their owners once swore they would. If somehow Gareth manages to acquire a mount, she'll wield her own lance while using the others to extend her range and attack in a variety of ways, but if fighting on the ground, her favored way of utilizing this Noble Phantasm is making her own spear float as well, and then attacking with her sword while also using it as a kind of conductor baton to guide their flurry of attacks. Additionally, as the Red Knight had the ability to increase his power gradually, reaching seven times his original strength at noon, his spear inherits that same characteristic: once per day, at noon, Gareth can unleash a single attack with strength equal to seven times her own, but only if she wields the lance herself. Perhaps if she was summoned as a Rider, this Noble Phantasm would manifest by summoning the Knights themselves instead of just their weapons. The first was a knightly joust, a match that ended equally with both on the ground. The second was her knighting, the weight of his swords on her shoulders were the greatest blessing she could ask. The third… The third was a fatal wound. She felt the pain, the confusion, the sadness, the understanding, the acceptance; all those went through her on her last few moments, and as she bled out what was left of her life, two worries didn't allow her to rest peacefully. and worry for the brother she knew too well. "My King, I'm forever sorry for what my death caused. Nevertheless, that's in the past, I hope I can do better fighting by your side this time, since working under you didn't work so well last time!" King Arthur in a swimsuit. WAIT. You were a woman this whole time?!?! Well, the past is in the past, at least now that she revealed herself I know I have a sister! Damn you Mother, I could really have used this sister during my childhood. Mordred you have no idea what it's like to grow up between a gorilla and a walking calculator! It appears these two have reached some kind of kinship that none of the other Knights can understand. Brother mine! I can't believe you went against Lancelot! For Gods' sake didn't I always tell you to deal with you anger problems?! Idiot! Gorilla! A dunce of an older brother that angered his spoiled little sister, that's the kind of image they're giving off at the moment. Tristan dashed out of the room before she realized he was awake. She's just really happy she got to meet him again… So don't worry about her blacking out, she's already being taken to the infirmary. I can finally add a golden knight to my repertoire! Hey good sir! Take out your weapons and let us engage in knightly battle! She's about to be very confused and amazed. Luckily her King was around. By strong physic, you mean, strong physique? Last edited by Spartacus; May 4th, 2018 at 03:17 PM. That's better than failing at making an interesting sheet by adding undeserved and/or unrelated powers, at least for me. Last edited by King of Padoru; May 4th, 2018 at 03:26 PM. Oh yeah, typo. Will fix. She's just really happy she got to meet him again… Oh God someone help her! It's not normal for so much blood to come out of someone's nose! Oh. My. God. I finally can add a golden knight to my repertoire! Hey good sir! Take out your weapons, let us engage in knightly battle! somewhere on some continent, in some random city of some merit. umm, by the way should i delete cupid i pretty just did her for fun, so i dont really mind, thou should I? Holly Kauri this is a wonderfull profile hadnt thought she is such a Lancelot groupie (i wonder how she and Berserker Lot react if they see/meet each other ,Really !? ),one point in atleat grand order i read that Gareth is officialy a *Lady* Gareth . Beast V has an advantage against all humans or human-like beings and a resistance to all human-made concepts. Due to not having much interaction with humans in life, Beast V has a low rank in this Skill. A special Skill that permits unsupported manifestation into reality, without necessity of energy cost or of summoning by a Master; effectively, the Skill serves as an enhanced version of Independent Action. Being that the skill-holder is signified as a confirmed existence, a resistance is rendered against the instantaneous imposition of death and attacks affected by time manipulation. A Skill derived from Beast V's consumption of Soma. It is an Anti-Divinity Skill that causes nullifies immortality, drains away Divinity and other forms of Mystery until what is left is comparable to a mundane human. A Skill that temporarily grants a rank-up to one's Strength parameter for a time limit determined by the ranking of this Skill. This Skill is borne from the holder's nature as a monster or Demonic Beast. Being a demon, Beast V has a naturally high Rank in this Skill. Due to being a member of the Dragonkind, Vritra has access to a Breath Weapon. The element of this Breath Weapon is "fire" and it is expelled through the mouth on his tail. A crystallization of the drought caused by Vritra in legend. These towers will immediately be deployed as soon as Vritra manifests and take the waters of the world captive. This will cause a terrible drought to occur on a worldwide scale and it will be nigh-impossible to access external bodies of water. In addition, the Sambara Fortresses boosts Vritra's power while the Bounded Field is active. Furthermore, the Bounded Field causes all within it to give into materialism and selfishness, claiming and using resources with abandon. Those with incredibly strong protection against mental interference thaumaturgy will be able to reject the influence of this Bounded Field. Otherwise, it will take a truly commendable amount of willpower to resist. The Sambara Fortresses act as magic sigils used to maintain a Bounded Field. When all ninety-nine fortresses are destroyed, the Bounded Field they maintain collapses completely and the drought ends. And if the drought ends, Vritra’s power will be decreased significantly. The Sambara Fortresses draw power by draining the Mana in the World. Although it is a slow process, the fortresses not being destroyed quick enough will cause the World to become a version of the possible future known as the "Land of Steel". A rather unorthodox Noble Phantasm. It only activates when Beast V is killed and summons the embodiment of Brahmanahatya/Brahmanicide. The Brahmanahatya will relentlessly pursue the one who killed Beast V until they are dead. Because Vritra is considered a being on the level of Brahmin, killing him is considered to be a heinous crime. The Brahmanahatya acts as an Avenger-class Servant with A Rank in all parameters but no Noble Phantasms. It has the Skills Avenger A, Memory Correction EX, Self-Replenishment (Mana) A, and Independent Action EX. In legend, the Brahmanahatya was the anthropomorphic personification a Brahmanicide and pursued Indra and forced him into hiding for his sin. However, because it has been materialized as a Servant-like being, it can be defeated but is a rather difficult opponent. A great demon from Hindu mythology. Vritra is the son of Tvashta. When Vishwarupa, the son of Tvashta, was slain by Indra, Tvashta performed a sacrifice with the intention of obtaining a son who could slay the King of Gods. Due to a mispronunciation, he instead obtained a son who would be slain by Indra instead. Originally, Vritra was a King named Chitraketu in his previous birth. While coursing the skies in his chariot, he saw the half-woman form of Lord Shiva and made a disparaging comment on it. For this sin, he was cursed to be born as a demon in his next birth. Vritra kept the waters of the world captive until he was killed by Indra. The combat began soon after Indra was born, and he had drunk a large volume of Soma at Tvashtri's house to empower him before facing Vritra. Tvashtri fashioned the thunderbolt for Indra, and Vishnu, when asked to do so by Indra, made space for the battle by taking the three great strides for which he became famous. Vritra broke Indra's two jaws during the battle, but was then thrown down by the latter and, in falling, crushed the fortresses that had already been shattered. For this feat, Indra became known as Vritrahan "slayer of Vritra" and also as "slayer of the first-born of dragons". Vritra's mother, Danu (who was also the mother of the Danava race of Asuras), was then attacked and defeated by Indra with his thunderbolt. In one of the versions of the story, three Asuras, Varuna, Soma and Agni, were coaxed by Indra into aiding him in the fight against Vritra whereas before they had been on the side of the demon, whom they called "Father". After Vritra’s death, the anthromorphic personification of Brahmanahatya, the sin of killing a Brahmin, was summoned and pursued Indra for his sin, forcing him into hiding for a time. Vritra is now Beast V, representing the Evil of Consumption. When he manifests, he will cause a drought that will cause humans to fall into materialism and selfishness. He believes that his actions will speed up the progress of humanity, the ones he believes to be the true inheritors and future rulers of the World. To do this, he desires to rid humanity of spiritual forces that supposedly hold it back. However, his actions will do more harm than good, for they will ultimately make the planet uninhabitable. Thanks to Crying for giving me the idea for this idea. Edit: I've made a few changes to this. Hopefully this is an overall improvement. Last edited by Lambda-Nu; April 4th, 2019 at 01:24 PM. Somewhere out there, Nasi felt a ping of sadness in his heart. Last edited by CritHit; May 4th, 2018 at 04:54 PM.